This lovable rescue pup has become a regular ol' Jackson Paw-llock with the help of his patient human. When Newman arrived at Kaydi Grunhovd's home as a foster puppy, she knew right away that the clever little dog belonged in her family forever. But the harsh Minnesota winter was keeping the family cooped up at home, so to help Newman exercise his body and his mind, Grunhovd decided to teach him how to paint. "I wanted to show that rescue dogs are smart," Grunhovd told local news outlet WDAZ. "I just wanted him to be an ambassador for that." An experienced pet parent, Grunhovd knew that she had to build up Newman's talent slowly and with lots of positive reinforcement. 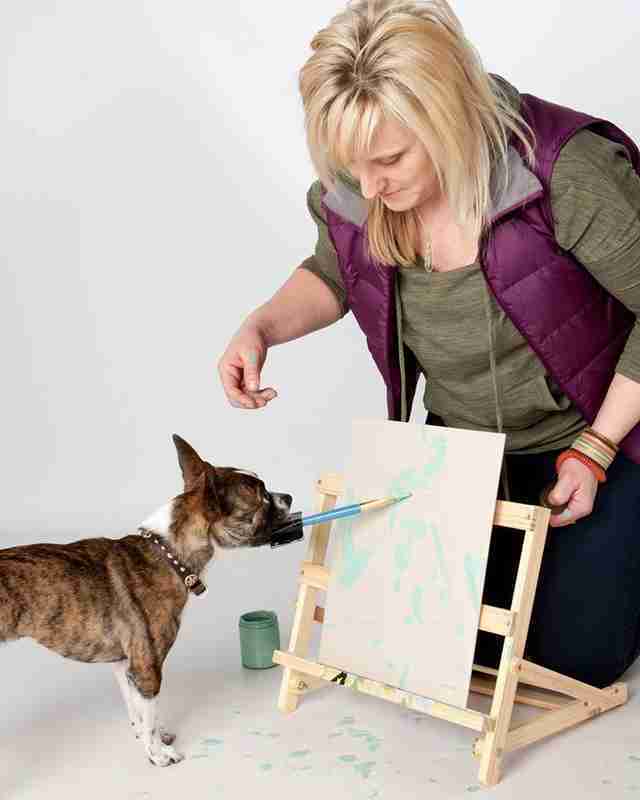 With the help of a bag of treats, she gradually taught Newman, only 18 months old, how to hold a brush in his mouth, then to touch it to the canvas, and finally to do it all with paint. 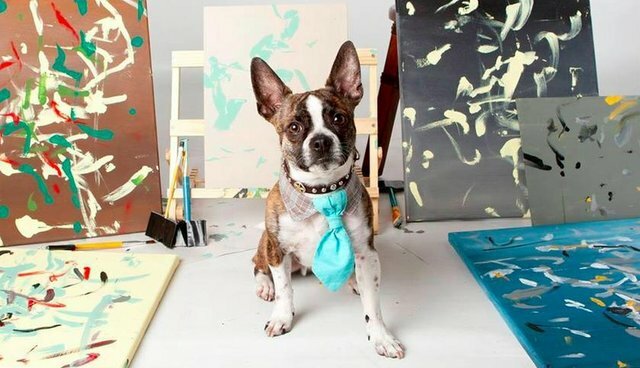 She started in January, and now Newman is churning out beautiful abstract pieces with titles like "I love da grass" and "Peanut butter cookies." Grunhovd sells Newman's paintings in her Etsy shop. Part of the proceeds go to Minnesota shelters like the one that Newman came from. Newman's not the only painting dog to make it big, but something that makes him unique is the way he holds a specially adapted paintbrush in his mouth. 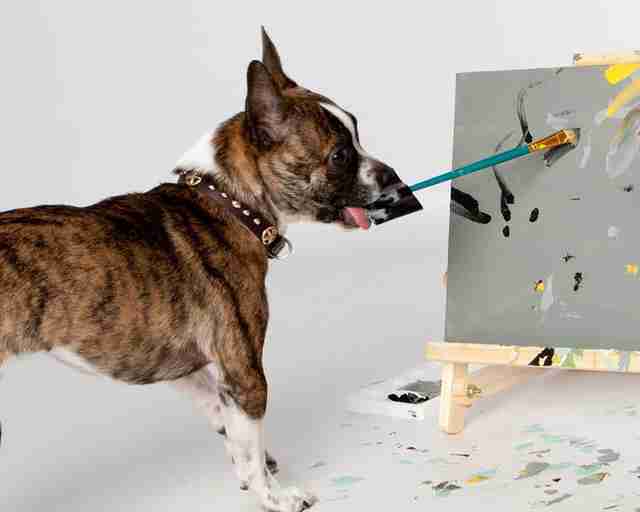 Of course, any pet parents wanting to try this at home should supervise their dogs around potentially harmful supplies - plus it's more fun to watch the artist in action!